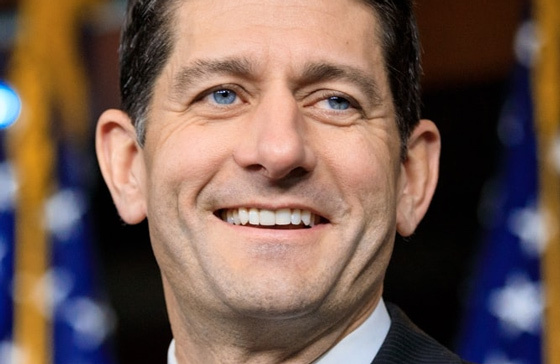 It has been discovered that former House Speaker Paul Ryan blocked subpoenas of people and entities the House GOP should have been investigating during the first two years of the Trump administration. Needless to say, the President is not so happy about it! House Freedom Caucus Chairman Rep. Mark Meadows (R-NC) as well as his predecessor Rep. Jim Jordan (R-OH) wanted to do some serious investigating. Ryan would not let them, and now of course, Nancy Pelosi is playing hardball as she is now in charge of the House. “So here’s the thing—it’s so terrible what’s happening,” Trump said when asked by Breitbart News Deputy Political Editor Amanda House about his anticipated executive order on campus free speech. “You know, the left plays a tougher game, it’s very funny. I actually think that the people on the right are tougher, but they don’t play it tougher. Okay? I can tell you I have the support of the police, the support of the military, the support of the Bikers for Trump – I have the tough people, but they don’t play it tough — until they go to a certain point, and then it would be very bad, very bad. But the left plays it cuter and tougher. Paul Ryan fought the President at every step. Paul Ryan repeatedly promised to fund the Trump Border Wall, but at every opportunity he denied the Republican President funds for his border wall. It was not until President Trump threatened to shut down the government the Speaker Paul Ryan FINALLY pushed legislation that included ONLY $5 BILLION to fund the border wall. Under fire, Paul Ryan has changed course, giving the President credit for his accomplishments. Paul Ryan is correct. It has to be about ideas. We know that. But it also has to be about the huge fight that the left is waging to pull this country towards socialism. It has to be about removing the veil from the Obama administration, showing the American public exactly what the democrats have been up to for almost a decade. Hillary Clinton used a private email server for the sole purpose of shielding her activities from the Freedom of information act. The Obama DOJ colluded with the FBI to protect Hillary fromlegal trouble for doing so. Obama used the IRS as a weapon to attack conservative non-profits. The Obama administration put weapons in the hands of criminals. The list goes on. We had two years to really dig into what was happening, and Paul Ryan squandered it! He is culpable. With the exception of tax cuts, Ryan did not deliver much in the way of helping Trump achieve any of his agenda during the time Ryan served as Speaker. I am glad he is gone. I had high hopes when he was elected. But it takes a fighter and Ryan wanted to be a lover…and he failed! Contributed by Terrence Donovan of Joe For America. Joe “The Plumber” Wurzelbacher crashed on the scene in 2008 when a chance run-in with then candidate Barack Obama allowed Joe to confront the soon-to-be president on his tax-and-spend Socialist philosophy. It was then, in a moment of clarity, Barack Obama let slip his real agenda; “I just want to spread some of that wealth around…” In an effort to inform the public Joe created the Joe for America web site, where you can find commentary, videos and ideas covering a wide array of topics from leading thinkers. You can also follow him on Facebook, Twitter or Youtube.